The internet has arguably made us all more productive, but it has also made us lazy. No longer do we want to solve problems that someone, somewhere, might have already solved. So when we entered the term ‘Windows 7 Project Plan’ into search engines, we were amazed. Yes, there were a few small technical plans available that were from Universities and the like, and some from companies that had started and got lost half-way through. But nothing you could really use and amend to help you get your Windows 7 migration project kick-started. There will be $billions spent on enterprise Windows 7 migrations in 2013. There are, on average, 22,000 searches per month for a Windows 7 project plan. So we bit the bullet. 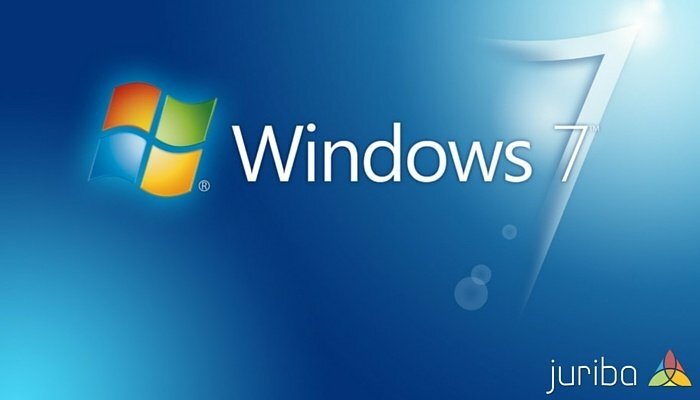 We have drawn on all our experience of the past 20 years and come up with, what we think is as close to a definitive Windows 7 project plan as you’ll get. And it’s free. So how did we go about creating this monster of a resource? Well firstly we did something radical for a software company – we employed a ‘proper’ project manager to create the plan. With 20 years of IT experience working for Accenture, Barclays and the Woolwich in some huge projects including Windows migration, Sarah Angell seemed the perfect candidate. Initially, it was all about research. We reviewed numerous resources that outline the overall project process. We then drew on our work history, planning and building projects for major organisations. Finally, and most importantly, we took all of our experience in enterprise Windows 7 migration from the last 4 years and built in our best practices. So you can be sure that our plan has not been created in a vacuum – it is real world. Rather than take the traditional technical approach (i.e. jumping straight into the technical solution design), we started right from the beginning. In other words, to plan for the plan. If you work in a big consultancy, your start point is always with building the initial business case and control documentation. So that’s where we begin. Fail to plan, plan to fail as the saying goes. Our step one is all about creating the right structure and documentation for your project. It is a belt-and-braces approach so you can amend to your own internal processes. With the right controls and expectations in place, we can start the interesting piece – discovery, inventory, assessment and design. Complex as they are, getting these components right will do more than anything else to ensure your project is a success. In our Windows 7 project plan, we take a wide look at all of the items involved so that nothing falls between the cracks. Everything from infrastructure to build design to user based assessment is included. Completion of these phases sets us up nicely for delivery. Now it is all about volumes: getting them on the board; working efficiently to achieve the biggest Windows 7 deployment pipeline in the quickest time. For this you will need strong leadership with a grand scheduling plan, plus buy-in from all organisational resources to make it happen. So our Windows 7 project plan focuses on this very area – identifying the tasks you can perform to make your pipeline of deployments grow. Physical scheduling and deployment is often the hardest part of the plan to achieve. Often this is because it involves end users. So our plan focuses on what we can do as a project to help accelerate user acceptance of the schedule, also building a flexible overall scheduling plan that accounts for the variable elements such as application readiness and migration paths for physical and virtual. Finally, we also cover the project close-down. Too often projects do not learn from the past. It is critical that you review what went well, document it and ensure that you have something to reference when you next enter into large scale desktop transformation.